Last year, Mississippi state officials discovered an oversight that had gone unnoticed for 150 years, so they finally ratified the 13th Amendment to the Constitution, thus granting slaves their freedom. Mississippi was the last state in the Union to do so. Now another oversight has been revealed. The Maryland state legislature is considering the reversal of the Corwin Amendment, which also concerns slavery. Back in the 1860’s, Senator Thomas Corwin of Ohio attempted to pass a bill to block the United States government from overriding state laws allowing slavery. Ohio, Illinois, and Maryland voted in the amendment, but for various reasons, Illinois and Ohio dropped the issue. For some reason, Maryland did not. And strangely, their vote is still legal. Enter college intern Shannon Welch of Bethesda, Maryland, who noticed the “glitch.” She brought it to the attention of state officials, who are now scrambling to change the law. So far, there doesn’t seem to be any opposition to changing the law. Thomas Jonathan Jackson was born on January 21, 1824. 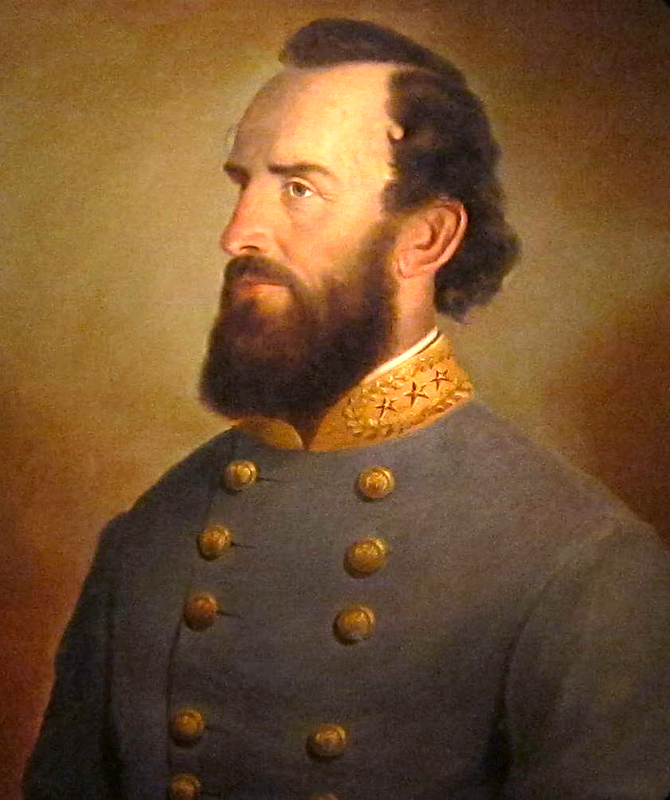 He acquired the nickname “Stonewall” after General Bee observed his stoic stance at the Battle of First Manassas. 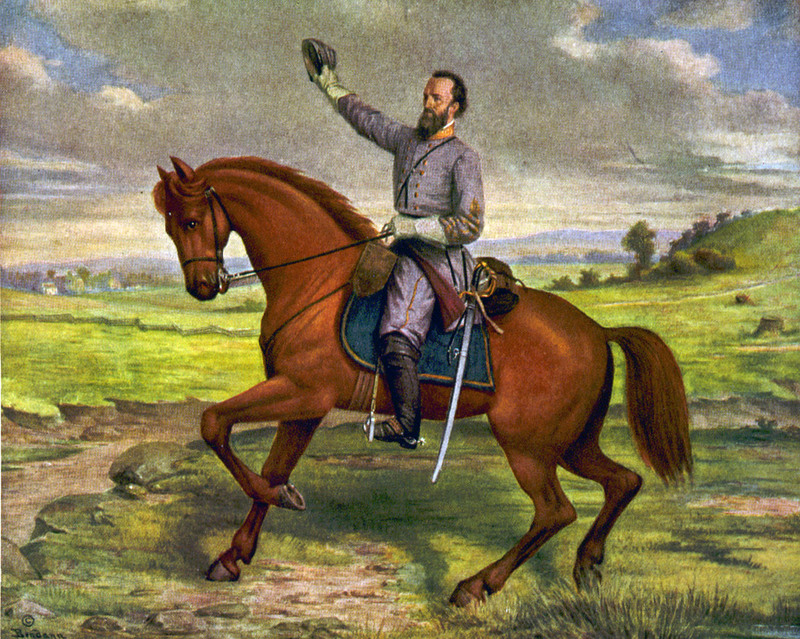 General Jackson’s brilliant military career was cut short when, at the Battle of Chancellorsville in May, 1863, he was accidentally shot down by his own men. General Jackson was a remarkable commander. He was quiet and shy, but effective as a commander and military genius. The following describes Jackson’s devout faith, as he always strongly believed that God was leading him and his country. “Such was the foundation of the courage of Jackson. He walked with God, in conscious integrity; and he embraced with all his heart “the righteousness of God which is by the faith of Jesus Christ.” His soul, I believe, dwelt habitually in the full assurance that God was his God, and his portion forever. “His manly and vigorous faith brought heaven so near, that death had slight terrors for him.– While it would be unjust to charge him with rashness in exposure to danger, yet whenever his sense of duty prompted it, he seemed to risk his person with an absolute indifference to fear. The sense of his responsibilities to his country, and the heat of his mighty spirit in the crisis of battle, might sometimes agitate him vehemently; but never was the most imminent personal peril seen to disturb his equanimity for one moment. Source: “True Courage: A Discourse Commemorative of Lieut. General Thomas J. Jackson,” Robert Lewis Dabney (1820-1898). 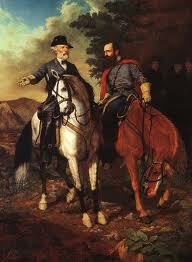 On the eve of the 5th of May General Lee, with General Stuart, rode to the front, where Stuart’s cavalry had encountered the advance of the Federal army. As they rode through the infantry, then awaiting orders, passing a farm house, three young ladies stood at the gate of the residence, holding a package, which from his gallantry, or good looks, or both, they entrusted to Capt. E.P. Thompson (nephew of Jake Thompson, and now a Mississippi editor), of General Davis’s staff, with the request that he deliver the same to General Lee. It contained three handsomely embroidered colored merino overshirts, very much worn in the army. Capt. Thompson at once rode forward to overtake the General, who had by this time reached within range of the shots from Grant’s skirmishers, and while under fire tendered the gift as from the ladies. 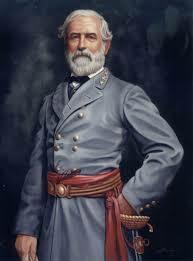 General Lee, with his usual self possession and courteous bearing, said to Capt. T.: “Return my warmest thanks to the ladies, and be kind enough to deliver the package to one of my couriers: say that I trust I may see and thank them in person. Early on the morning of the 6th, Grant, who had massed a heavy force in the immediate front of Davis’s Mississippi brigade, opened fire and began a forward movement on our lines at this point. Seeing we were unable to check their advance, Colonel Stone (since Governor of Mississippi), commanding Davis’s brigade, sent word to General Heth, division commander, that he must be reinforced, which brought to our aid a division of Longstreet’s corps, led in person by that able Lieutenant General. It was at this critical crisis that General Lee appeared upon the scene. After the enemy had been repulsed on the right, and while our chieftain was awaiting, in painful anxiety, information from our left wing, a courier — a mere youth — came dashing up with a message from Lieutenant General R.H. Anderson, his small pony panting like a deer that had been pursued by a pack of trained hounds. Delivering his sealed message to General Lee in person, who, after reading it, noticing how tired his pony was, said to him: “Young man, you should have some feeling for your horse; dismount and rest him!” at the same time taking from the small saddlebags attached to his own saddle a buttered biscuit, giving half of it, from his own hand, to the young courier’s pony. This act of consideration for the dumb beast made a lasting impression upon my then youthful mind, and taught me ever since to treat all animals as if they had feelings as ourselves. At the moment it occurred to me, hungry as I was, that he had better have divided his biscuit with the rider of the animals, or myself; but I soon appreciated the motive of his hospitality to the poor beast, and, as before stated, learned a lesson in kindness to animals I shall not soon forget. Congratulations to the winner of my November/December contest! Masondan won the first two books of my Civil War “Renegade Series:” “A Beautiful Glittering Lie” and “A Beckoning Hellfire.” Thanks everyone for participating. I really appreciate your support. Stay tuned for more fun things coming up!